Hi Michael. You’ve a video for configure Dynamic CRM 2015 form external places. I’d one installed in my server but I want to configure to use outside. Can you help me please? Can please explain what do you mean by use it outside? 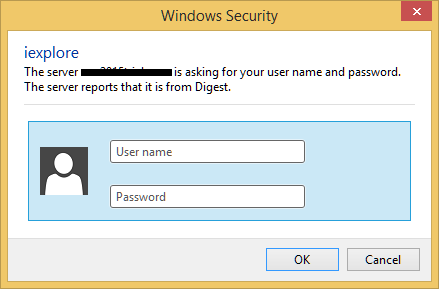 After investigating this issue, the problem is to select the authentication “UserName”, changing it to “Windows” everything works perfectly. This is exactly my scenario. Azure Virtual Machine in workgroup is working with local users. The connection has a certificate and is accessed from the computers, also in workgroup in various offices. Desktop client, Outlook synchronization, Apps and Web client. With Windows authentication all ok. This has recently started popping up, but the headline is Microsoft Edge. I “X” it and it goes away for 24 hours after the second appearance. I’m not aware that anything has changed on the computer.